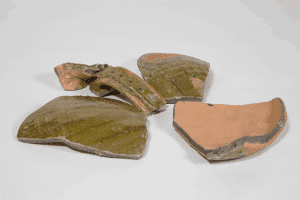 Fragments of Pottery, substantially sized pots used for storage, probably made locally, simple designs. 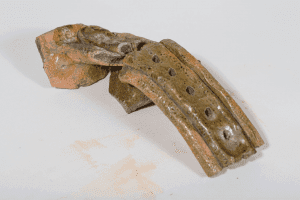 These examples of fragments were found near Lewin Street in a possible rubbish pit or back fill, therefore no date is applied. 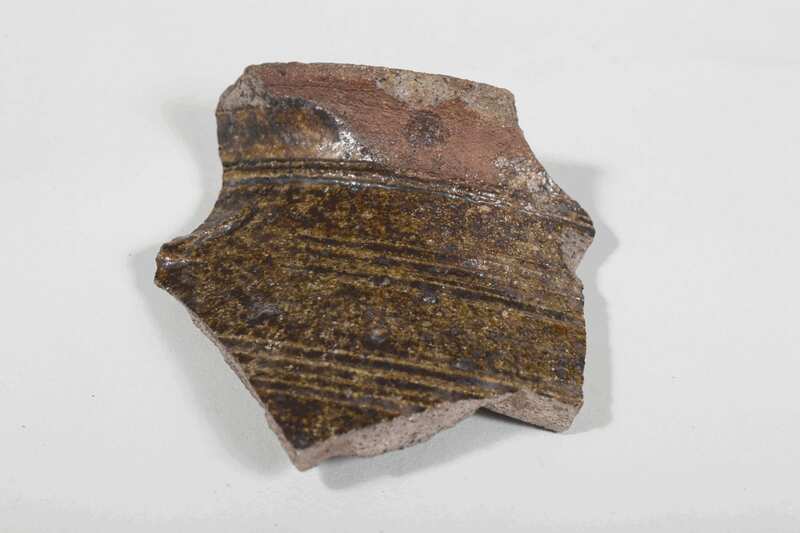 They are likely to be late Medieval, North West regions tended to produce yellow and green glazed white-wares common to this period. 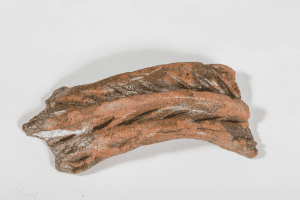 Red-wares were more common in the South. 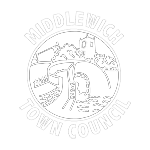 Held on behalf of the community of Middlewich by Middlewich Heritage Society.